How to become a CPA is a common question I receive from my United States and international subscribers and followers. I will try to outline the process in six steps. The United States Certified Public Accountant Certification (CPA) is a prestigious and well sought after designation in the U.S and abroad. However, becoming a CPA is a challenging process for U.S. residents as well as international candidates. A candidate must navigate various requirements such as eligibility to sit for the exam, educational requirements, working experience and licensure requirements. Being eligible to sit for the exam does not automatically meet your license requirement. To complicate the process further, the CPA license designation is not a federal designation. This means the candidate must select one of 54 Board of Accountancy (BoA) jurisdictions for his/her license. Why 54? Each one of the 50 states has its own Board of Accountancy (BoA) as well as Washington D.C., Puerto Rico, Guam and U.S. Virgin Islands. I will outline the process using the following six steps. Step 1: Are you eligible to sit for the exam in the this particular jurisdiction? You need to select a jurisdiction in which you are permitted to apply. Not all jurisdictions permit international students or non-residents to apply. You can easily access the state board of accountancy for each jurisdiction on the American Institute of Certified Public Accountant (AICPA) to find out if can apply in that particular jurisdiction. Generally speaking, the minimum educational requirement to sit for the CPA exam is a Bachelor’s four-year degree in Accounting from an accredited university. Why specify an accounting degree? It is because the candidate should have completed a certain number of accounting courses (generally 24 college credits) and certain business courses (generally 12 college credits). The 24 accounting college credits typically include Financial Accounting, Managerial Accounting, Intermediate Accounting I & II, Auditing, Taxation (personal and Corporate), Cost Accounting, Government and Not for Profit, Advanced Accounting, International Accounting and Accounting Information System. The other 12 business (non accounting) college credit typically include Business Law I & II, Macroeconomics, Microeconomics among others. What does accredited university means? In the U.S., this is an easy process. Student can easily check to see if their institution is nationally accredited and if the accreditation is acceptable by the department of education. Here’s a list of all institutions and their accreditation: department of education website. You can also inquire with National Association of State Board of Accountancy (NASBA) or AICPA to find out if your college or university accreditation is acceptable. Most (not all!) colleges and universities are nationally accredited. I personally know of one student who could not sit for the exam because her bachelor’s degree in accounting was not from a nationally accredited school. Always Check! For international students, the process is more cumbersome. Candidate needs to submit their educational credential to NASBA via this is link. Each country will have different requirements. Part b: 150 College credits. Some states do not allow you to sit for the exam unless you have 150 college credits. Most states do not issue you a license unless you have completed 150 credits. For example, you can sit for the exam in the Pennsylvania by meeting the requirement in part a above (120 college credits plus a bachelor’s degree in Accounting) but the state would not issue you a license unless you meet the 150 college credits. You don’t have to earn a masters degree to meet the 150 college credits. Many candidates assume 150 college credits equate earning a master’s degree. Not true. Few states will issue a license without meeting the 150 college credits requirements: Here’s the list of jurisdictions with no requirements for 150 college credits:California, Colorado, Delaware, New Hampshire, Vermont, Virgin Islands. Step 3: Authorization to Test (ATT) and Notice to Schedule (NTS). Your application will typically involve recommendation letters, transcripts and other documents. There is a fee associated with the application process. Once the application is approved, the BoA or NASBA will issue Authorization to Test (ATT). ATT is valid for a limited period of time. Once you have decided on the specific section to sit for first, register and pay the fee on your NASBA account. This fee is different from the application fee. The fees could range from $200 to $300 per section. Which section should I sit for? Next, NASBA will issue a legal document called Notice to Schedule (NTS). The process takes up to four weeks and in some instance up to six weeks for international candidates. Now, you are ready to sit for the exam. You have 6 months to schedule your first exam after receiving the NTS. Otherwise, the NTS will expire and you will need to pay the fee again. First, schedule your exam with Prometric Testing Center. It is a good idea to schedule the exam as early as receiving the NTS so you can select your desired date and location. Schedule your exam to have your score release no more than two weeks later. See table below. Why? This way, you can brush-up on material for the completed exam during the two week period then schedule to take the same exam (if you failed) within two weeks of receiving the score. This way, what you have learned is still fresh in your mind. You might have to schedule your exam away from your home in order to select the date you want. I had to travel two hours when I took my first section so I can schedule on my chosen date. Of course, I stayed in a close-by hotel overnight. Make sure you are mentally and physically ready on the exam day. Don’t leave anything up to chance. I remember setting the hotel alarm clock, my flip phone (good old days) alarm and having my wife (we were dating back then) call my hotel room from overseas to make sure I am up on time. Not that I oversleep! Remember: You have 18 months to pass the other three sections after you have passed the first section. Your clock starts starts ticking you have passed the first section. To emphasize, if you don’t pass all 4 sections (FAR, REG, BEC, AUD) within 18 months then you lose credit for the part you passed outside the 18 month period (usually the earliest section). Once you have passed all 4 parts and met your work experience requirement then the appropriate jurisdiction issues the license. Congratulations! You are now a CPA. This process could take several years from the time you meet your educational requirements to the time your satisfy the work experience requirements. For traditional undergraduate accounting students working in public accounting, the process should take two to three years post graduation. My undergraduate degree was in Finance. I had to complete my accounting courses on a part time basis. I started completing my educational requirements as late as 2004 and did not become a CPA till late 2009. 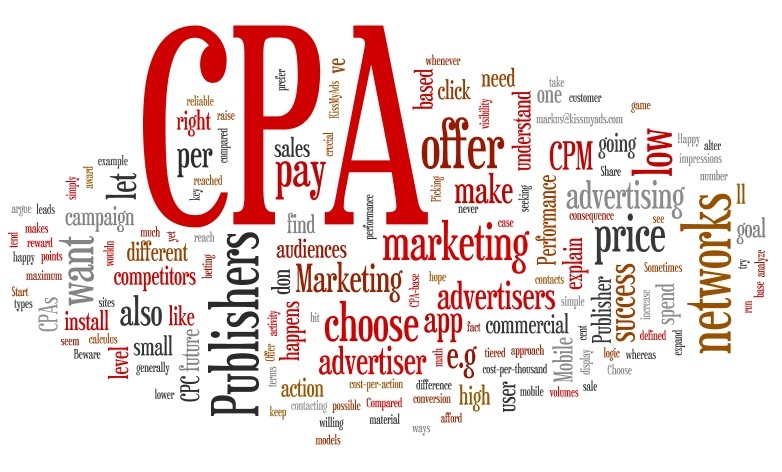 Becoming a CPA is a substantial investment in terms of time, money and effort. Yes, it is a rewarding journey but the gratification is not immediate. Make sure, you are vested for the long run! Related Article-Which CPA Section should I sit for first? Sir, I am an International candidate willing to sit for CPA Exam and later obtain CPA License. Just got my International credential evaluation report from NIES. I have total 120 credits in which I have 37 accounting credits(20 upper level credits and 60 business credits and my 3 years of Bachelor of Commerce and one year of Master of Commerce(partially completed because its a two year course) are equivalent to US Bachelor Degree. But still I found myself ineligible for Montana Jurisdiction because I don’t have taxation as a subject in my Bachelor Degree. Now, I have an option to go for different jurisdiction by paying the relevant fee for change in jurisdiction. According to you, which state would be good option for me? I am Indian citizen and not meet with US residency requirement and SSN. I could appear for CPA Exam at International testing site. have you considered taking an online income course with an accredited U.S. Institution to complete your educational requirements? Previous PostHow Many Hours Should I Study for The CPA Exam? Next Post How should I complete my 150 college credits in order to be a CPA?